Another Star Wars movie is upon us with Solo A Star Wars Story. This film seeks to give us a deeper look into one of the more beloved original characters: Han Solo. Will this prequel live up to the expectations? I think one of the very first things to appreciate in this film is going to be the aesthetics that are presented. There appear to be a lot of practical effects that are very reminiscent of the original star wars movies. It’ll almost feel like you’re watching a movie from the 80s except with modern technology capturing the moment. As you could probably tell from the trailers, this is a heist movie. The heists are one of the more exciting moments to watch in this film. 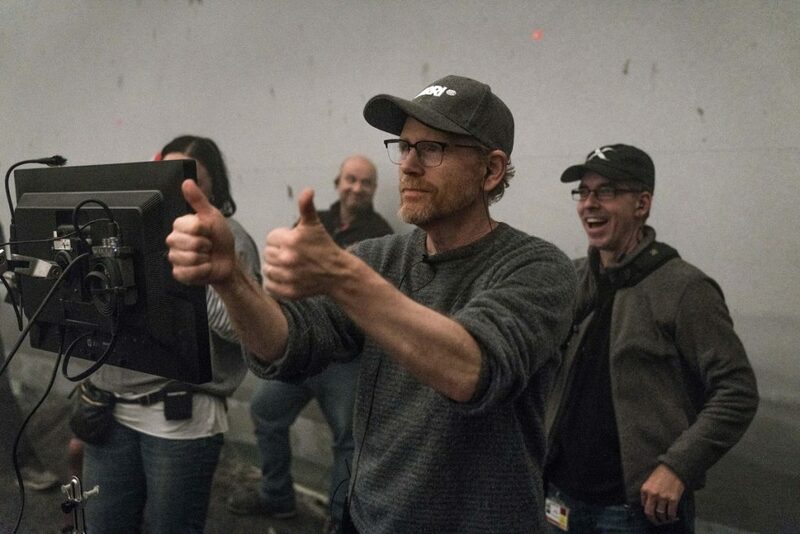 Director Ron Howard is pretty effective in making you feel like every mission is a fun adventure. Many scenes are going to be full of suspense and thrills. Since this is an origin story, it was really cool to see more details about Han’s background. His initial meeting and growing relationship with Chewbaca were a definite standout. I think this movie could’ve been better served with more of this duo’s interactions because it really worked well on screen. When it comes to the plot, I appreciated how there were a number of different minor plot twists piled on top of another. While you may know the general direction of the movie, those twists will keep you from guessing exactly what happens. There’s a nice surprise in the film, that I would say is the best 2-3 minute scene of the entire film. You’ll know it when you see it. Let’s move on to the acting. The supporting characters were great all around. Emilia Clark, who plays Qi’ra, was solid given the layers her character embodied. Paul Bettany was surprisingly terrifying in his villainous role. The android, “L3”, was probably one of the funniest characters in the movie and a bright spot that I wish we could’ve seen more. With little to no surprise here, Donald Glover as Lando was easily the highlight of the movie. He was undoubtedly one of the most intriguing and emotionally relatable characters in the movie. Glover is already on fire as of late, but his portrayal as Lando is probably the most true to form character adaptation there could be in this film. Except for maybe Chewy. Sorry I’m not buying Alden Ehrenreich as Han Solo. I tried. I really did. 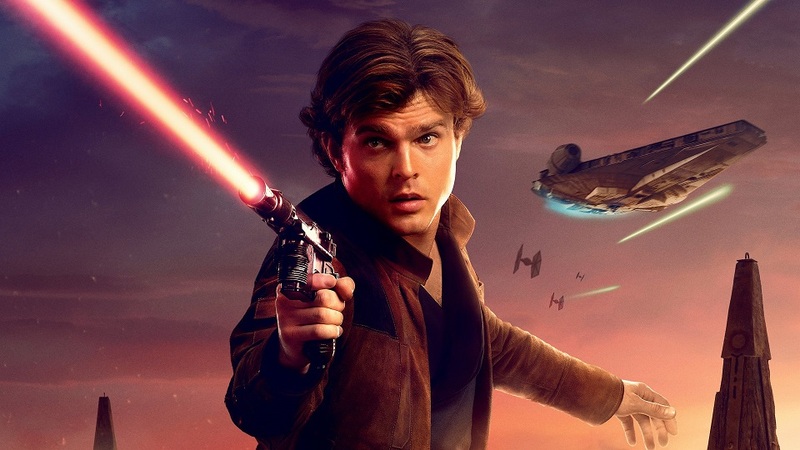 It takes almost the entire movie to really buy him as the Han Solo from the originals. There’s a level of charisma that Alden simply doesn’t have nor can he replicate for this particular character. I don’t think Alden is a bad actor, I just don’t think that this role was a good fit for him, minus the fact that he does look the part. I don’t even really blame him. I think trying to step into a role like Han Solo is like someone trying to follow up behind Robert Downey Jr to be the next Iron Man. I mean those are just really big shoes to fill. 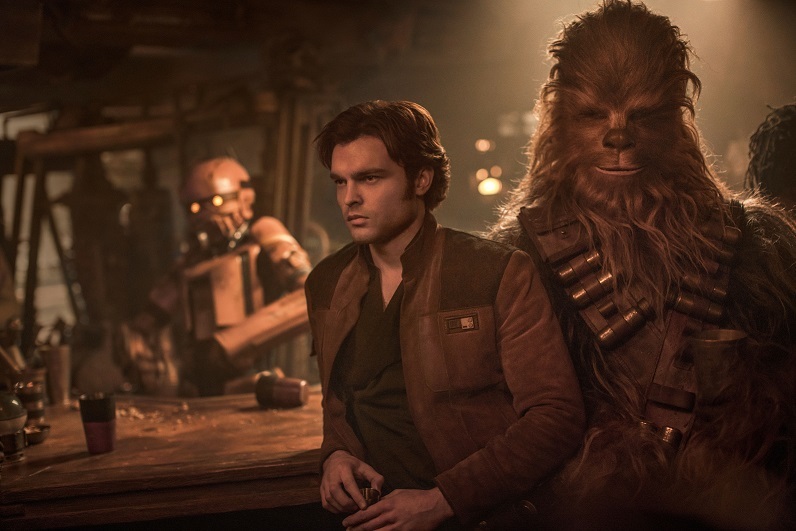 I think one of the biggest letdowns is the fact that everything else in this movie tries to make up or cover up his lack of a true portrayal of Han Solo. First of all, it’s not a good sign when the supporting characters outshine the lead character in any movie…especially a movie that supposed to be about the lead character. Second, it’s also not a good sign if the supporting characters have to inform the audience about the lead character. For example, I don’t need the supporting characters to tell me that Han is arrogant or cocky. That’s something that should exude from the actor himself. Plus the definition of uncool is trying to be cool. Alden came across as trying to be cool and cocky rather than it appearing to be something that naturally comes to him. I feel as though a lot of energy is given in trying to make us care about Han, but it really took a while to get used to him as a character. (At least it did for me.) In addition to the supporting characters carrying any interest to Han, I also think that the story had to do a lot of legwork here too. I don’t mean the story in this actual movie, I mean the overall Star Wars story. Let me put it this way. If Solo A Star Wars Story wasn’t associated with the larger mythos and franchise that is Star Wars, I think the film would be even less interesting. One major driving factor is just the fact that you know the fate of most of the important characters, and you may only be watching to see how this connects to the story we already know. The movie does a bit too much overt foreshadowing of the person Han will eventually become. As a result, I don’t think we get a good enough transition from this Solo to the Harrison Ford Solo we already came to know. 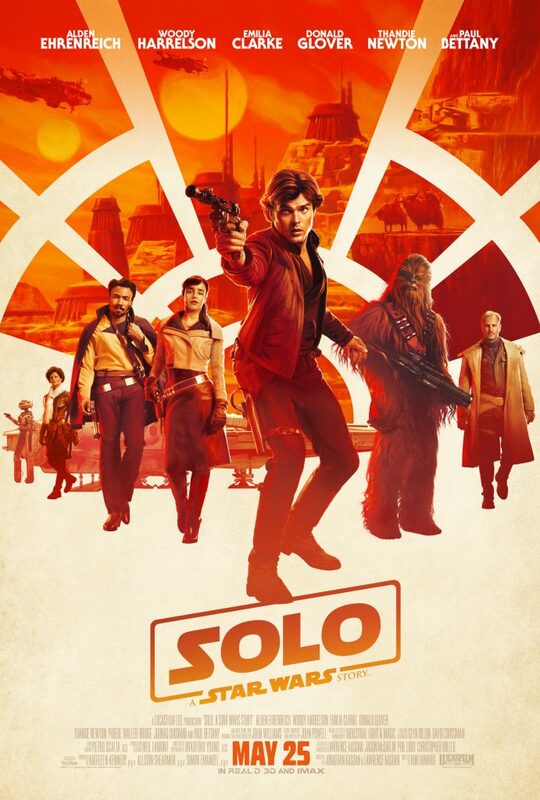 Solo A Star Wars Movie is not a bad movie at all. It’s just..fine. It gets the job done. It’s a very safe movie. It checks off all the right boxes. It simply doesn’t do very much that is impressive, epic, or unique. This movie reminds me of like when a local carnival comes to town, and they have their own really cool ride. You ride it, have fun, but then you may think to yourself…”This was cool, but it just wasn’t Six Flags cool”. Another way to think about it is like when you go to a party and they serve you those little triangle sandwiches. You know the little ones with a sliver of meat. They don’t fill you up, but you’re not dying of hunger either. That’s Solo A Star Wars Story. It’s my opinion that Solo doesn’t really uplift or contribute to the larger franchise of Star Wars…not like Rogue One did. Rogue One was able to tell me an origin story that directly fueled emotional impact and meaning into the original Star Wars movies. Because of Rogue One I now know what the real sacrifices meant to the rebellion, and why those plans were so important. Solo, doesn’t do anything like that for me. If it’s goal was to show me how legendary Han is, how cool he’s always been, or just his relationship with Chewy, I think it fell short. The movie Instead only comes off as fan service to dedicated Star Wars fans who have a lot of the background information and nostalgia to hang on to. That’s not a bad thing, but I don’t really see how this film will excite new or even moderately casual viewers of the Star Wars films. There are going to be a good amount of people out there who will not agree with what I’m saying, and I’m totally okay with that. I thought Han’s Solo’s story and character were perfectly summed up in the 4 movies we already saw him in. I didn’t think that we really needed to see his origin. A lot of his mystique and coolness relied on the fact that he just was who he was. I think in this case, it’s kinda like a magician revealing their tricks. It’s still interesting to know and see, but it does lose some of the edge too. 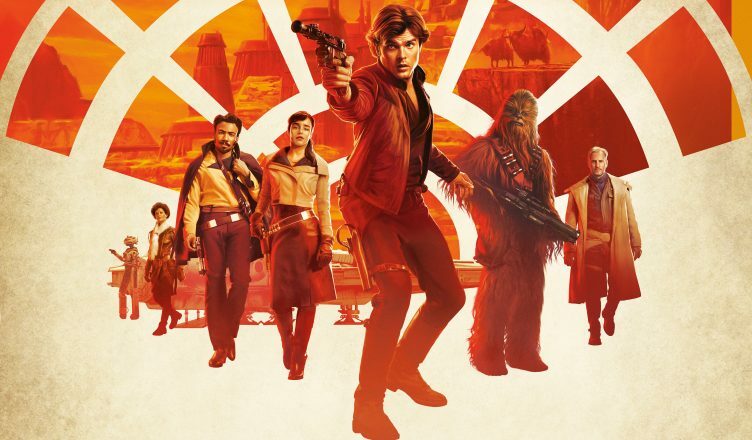 Solo is still a fun movie, and worth seeing in theaters. Especially if you’re already invested in all of the other Star Wars movies. Solo: A Star Wars Story is in theaters now. Be sure to follow E-Man’s Movie Reviews on Facebook, Subscribe on YouTube, or follow me on Twitter/IG @EmansReviews for even more movie news and reviews!